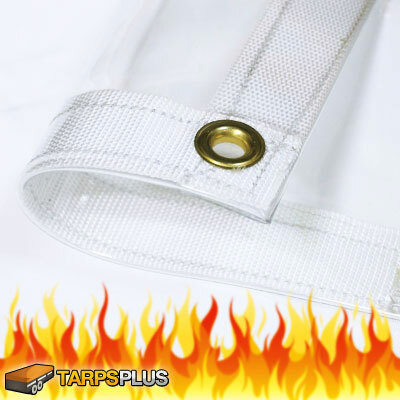 A PVC tarps is a heavy duty cover that is made out of woven polyester fabric and covered with a coating made of polyvinylchloride, or PVC for short. The woven polyester gives this type of tarp tremendous strength while the coating makes it waterproof. These tarps will often be UV treated on both sides and are resistant to acid and mildew in addition to water. They are flexible enough to mold to any shape or load and are easily manipulated into position. The pvc tarps are more durable and heavier than a poly tarps, which is made out of nylon and coated with polyethylene resin It is less likely to tear and can even stand up to harsh weather conditions. It is able to last for years of exposure to sunlight before the coating starts to crack. Due to its ability to shed water, this kind of tarp is ideal for outdoor use. It can be used to cover vehicles of all sorts including cars, boats and bicycles. It can come in handy during the winter for protecting sandboxes and outdoor toys against snow and rain. Grommets should be equally spaced down the sides and reinforced for additional strength. They should also be made out of some type of material that will not rust or corrode in foul weather. The pvc tarps come in a wide variety of sizes from 6 feet by 8 feet for smaller jobs up to 33 feet by 46 feet for covering large objects like the load on a trailer. Some are clear for easy identification of what is underneath but there are also a variety of colors available including royal blue, dark green, gray and even camouflage print. Homeowners and outdoors men who invest in one of these items will be able to find dozens of uses for a quality PVC tarp.